The festival of lights, Diwali, is always a grand occasion in our home. Relatives, friends and family get together to feast and be merry. 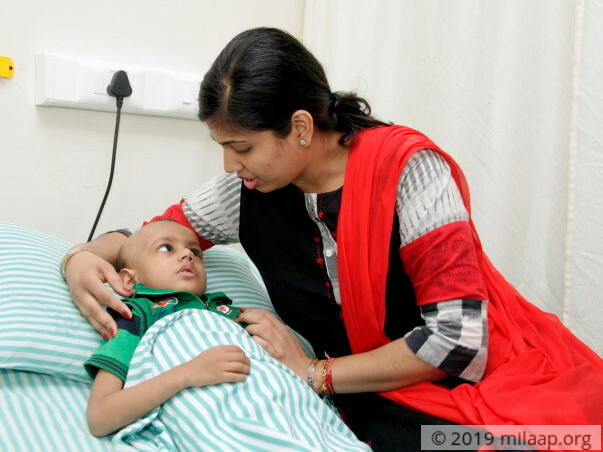 But last Diwali was more about darkness for them as even before the celebrations were over, 3 year-old Ishan, the youngest member of the family, was down with a fever that turned out to be cancer. “We knew from the beginning that this was not a normal fever because Ishan behaved differently; he looked really weak. He was also vomiting a lot and had loose motions. My vivacious son, who filled any room with his charm, had become dull. In just a few hours. When we took him to the doctor first, they said it was nothing to worry about and gave us medicines. 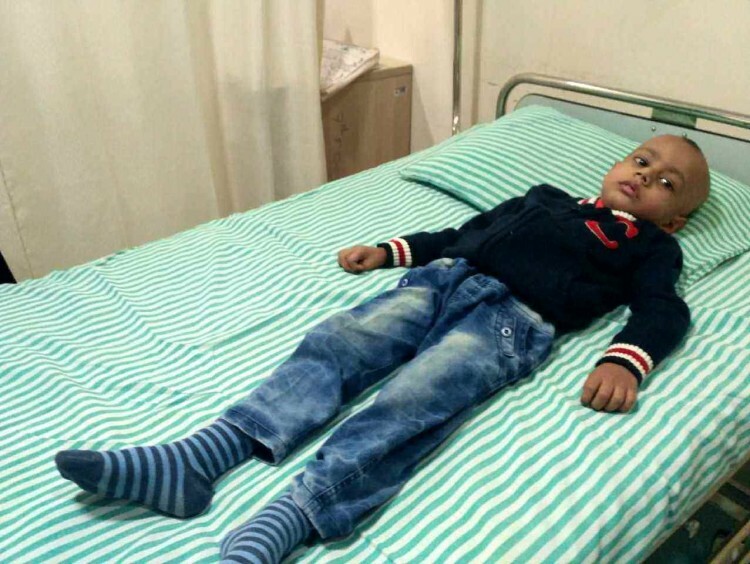 But the fever persisted and we had to get him admitted twice in two weeks,” says Sandeep, his father. The next few days were extremely trying for the entire family. Ishan had become pale and famished. He lost interest in playing and eating food. Most importantly, he had started complaining of joint pain. That was when Sandeep realized that something had to be done – he sensed that his son’s health was depleting and was determined to do anything to find out why. He, along with his wife and son, travelled all the way to West Bengal from their small town in Bihar. It was at a hospital in West Bengal that Sandeep found out that his son’s haemoglobin count was very low. “A blood transfusion was done immediately. We were very scared. We knew something was wrong but never imagined that it would be something so serious. Our Ishan, who absolutely hates hospitals, had tubes injected in his veins. His pleading and cries of pain haunt me even now. It is not easy for a father to helplessly watch his child suffer,” shares Sandeep. What really broke Sandeep’s heart was when the doctors advised that Ishan undergo a bone marrow test. He knew in his heart that something awful was looming large over his only child and he had to do something about it. 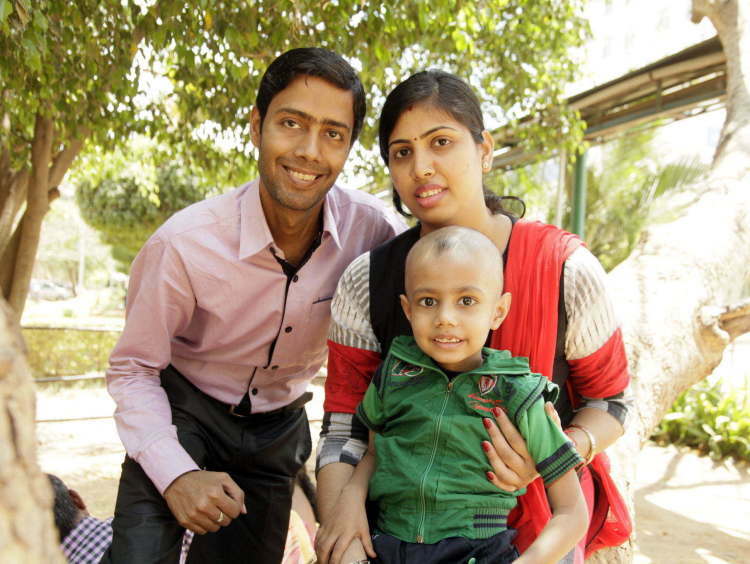 The family then travelled to Bengaluru where Sandeep’s worst fears were confirmed: Ishan had acute blood cancer. 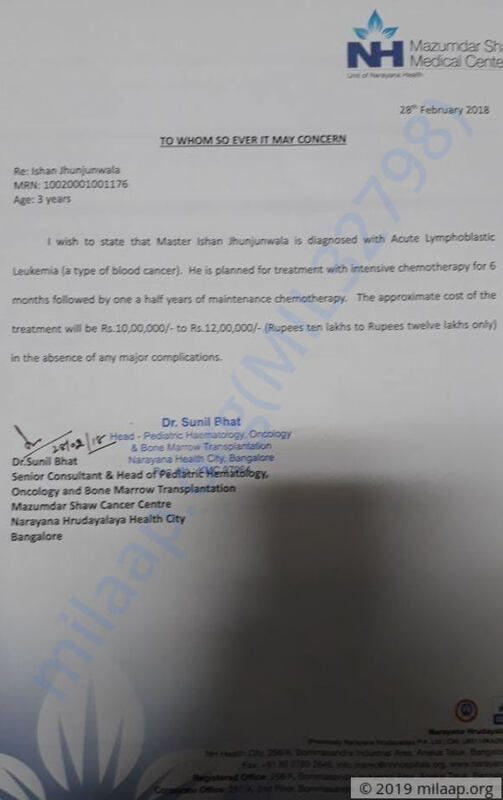 Ishan needs prolonged chemotherapy to fight blood cancer. His father, Sandeep, who owns a small shop in Bihar has already spent more than Rs 2 lakh on his treatment so far. Since the entire family (including Ishan’s grandparents) had to relocate temporarily to Bengaluru, his business has not been doing too well. 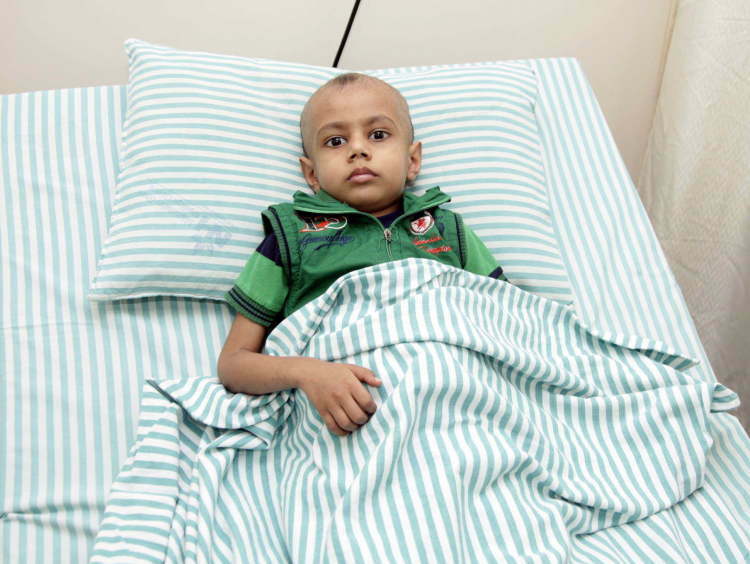 Sandeep is certain that he cannot afford money required for Ishan’s ongoing treatment. You can help this father save his only son. Ishan is still on intensive chemotherapy. He is showing signs of improvement and based on his reaction to the chemotherapy it will be decided whether he needs a bone marrow transplant or not. Ishan is doing better now. He recently underwent the third cycle of chemotherapy and the doctors are saying that he is responding well to the treatment. Also, he might most likely not need a bone marrow transplant. He still has one more month of chemotherapy left, post which he will be undergoing a few tests to take a call on the further of treatment. We are all hopeful. Please keep praying. We shall keep you posted. Thank you again.